Please do not stream these large video files. Instead, to download these wonderful shows, please right click on the video you wish to view and "Save Target As", to your desktop. Once the file transfer is complete, Select Play. Sharky Night Diving in Cocos Islands, Costa Rica. Please do not stream these large video files. Instead, to download these wonderful shows, please right click on the video you wish to view and "Save Target As", to your desktop. Once the file transfer is complete, Select Play. 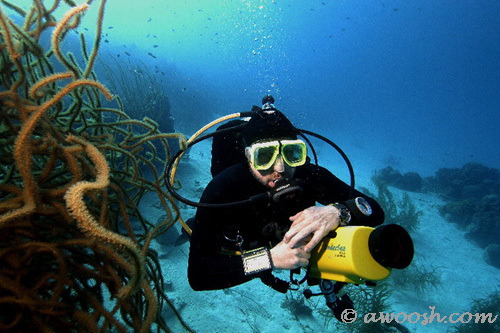 Bill Cooper is an attorney by trade and diver/videographer by choice. He is a moderator of the Moving Pixels section of DigitalDiver.Net and is a frequent contributor on Scubadiving.com. much like a good wine sets off a fine meal.